This is one of the most useful, practical and commonly used oils. It is great for all skin types as an emollient and is best known for its ability to soften, soothe, and re-condition the skin. 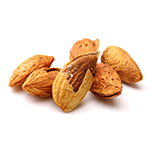 The oil comes from the kernel and consists mainly of oleic acid, essential unsaturated fatty acids, sterolins and vitamin E.
Has healing soothing, antibacterial and moisturizing properties. It is used to relieve burning, itching, minor cuts and first and second degree burns. 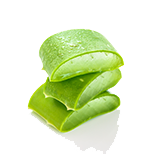 Recent studies indicate that aloe vera has the ability to accelerate cell growth in the skin. 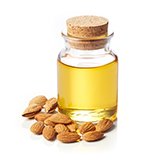 This is a light textured, nourishing oil with a high vitamin A content. It is useful for all skin types, especially dry, mature or sensitive skin. Natural thickener and barrier forming agent. 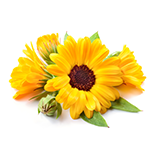 Calendula is an excellent anti inflammatory, and is very useful for eczema, dermatitis and irritated skin in general. 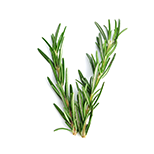 It is also a good venous tonic and can be useful for spider and varicose veins. Carrot oil has regenerating and toning effects, which is excellent for mature and congested skin, couperose skin and eczema. 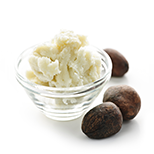 Coco butter is a great emollient that is popularly used to add flexibility to the skin. 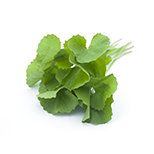 This plant is considered to be one of the most rejuvenating. Collagen synthesis -has been shown to increase the production of collagen by fibroblasts. 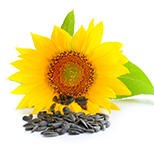 This means that IT will both speed wound healing and decrease the signs of ageing. 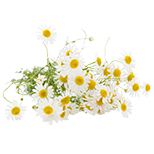 Chamomile extract has counter-irritant, anti-inflammatory and antiseptic properties. It is excellent for sensitive and allergy-prone skin. It is also an excellent soothing oil, calming and good for the digestion. 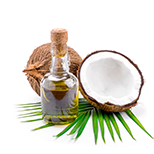 Coconut oil comes from the coconut of the coconut palm tree. This oil is great for moisturizing and can help serve as a protective layer, helping to retain the moisture in your skin. This oil is very mild and great for people with sensitive skin. 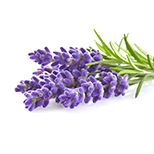 The pure essential oil from the freshly cut tops of Lavender flowers regulates sebum production, fosters the regeneration of new skin cells and soothes inflamed skin. 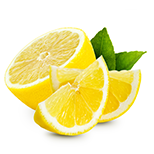 Lemon oil helps to fight against infections, aids the digestive system, soothes headaches, migraines and muscular problems, and clears greasy skin and hair. 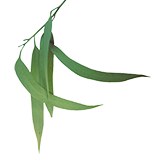 Lemon Eucalyptus essential oil has a lemony scent but doesn't have the camphorous scent of E. globulus. 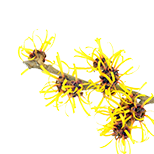 It has a higher citronellol content than citronella (80-90%), which makes it useful as an insect repellent. This oil comes from the nuts of the Macadamia tree. 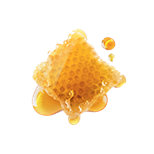 This oil is high in monounsaturated fatty acids, and closely resembles oil naturally produced by the skin. 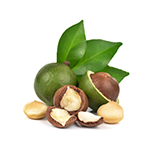 Macadamia oil is a fabulous, protective oil with a high absorption rate and has been used as a healing oil for scars, sunburns, minor wounds and other irritations. 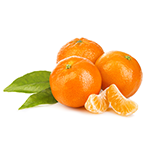 Mandarin is a strengthening and soothing oil that fosters a sense of tranquility. It is known in France as the "children's remedy". also has a refining action on the skin and is recommended for addition to massage blends used in the later months of pregnancy to keep the skin supple and prevent stretch marks. Relieves itching and inflammation of the skin, is good for scarring, dry eczema, ageing and dehydrated skin. 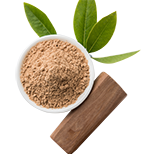 Is derived from the vegetable fat of the Karite Tree. 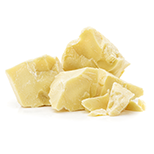 Shea butter is excellent in that it forms a breathable, water-resistant film and moisturizes the skin. Helps to improve the elasticity of the skin, therefore helping to slow the aging process. 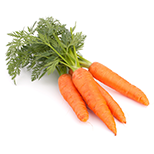 Contains various carotenoids and a small content of natural allantoin, known for its healing ability. It is also said to have a sun protection factor 3. 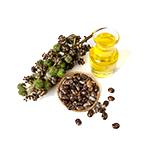 Natural source oil from the Castor bean. A hard, shiny oil that acts as a barrier agent and protective medium against harsh conditions and extremes. 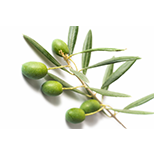 A wealthy oleic oil with unusually high amounts of Vitamins A, D, and E, beneficial amounts of lecithin, and unsaturated fatty acids. It's very nourishing and conditioning for the skin. 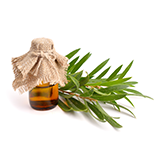 The pure essential oil from the leaves of the Tea Tree is a potent antiseptic and excellent for the treatment of acne. Soothes inflamed skin. It is astringent and anti inflammatory.